Kalamata (Greek Καλαμάτα) is a city in South Peloponnese and the capital of the prefecture of Messenia. It has a population of 57,620 inhabitants as of 2001, which makes it the second biggest city in Peloponnese and the tenth in the whole country. It is situated 238 km southwest of Athens, between two peninsulas, the Peninsula of Mani (Cape Tainaron) in its east and the Messenian Peninsula (Cape Akritas) in its west. The city is built facing the Messenian Gulf, where its port is situated and connects the city with Crete (Chania), the islands of Cythera and Anticythera, and the town of Gytheio. 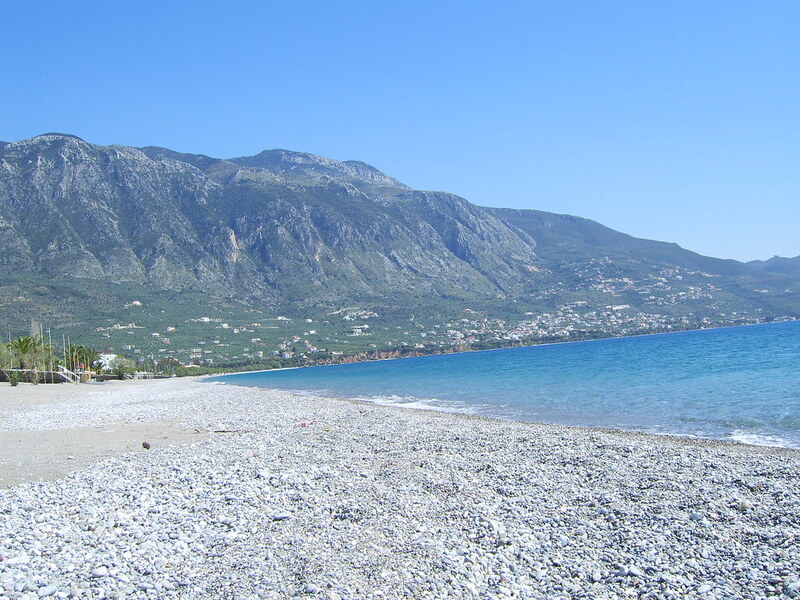 Kalamata is an agricultural region, well-known for the homonymous Kalamata olives and its excellent olive oil. The blue markers shows the location of various accommodations in Kalamata. The letter in the marker describes the accommodation types: H for Hotel, A for Apartment, R for Resort, B for Bed & Breakfast and O for Other (e.g. pension, villa). Click on the blue marker for more information on the accommodation.